A huge range of Home Grown mens, womens and kids clothing in 100% Australian cotton. T-shirts, shorts, hoodies and mens socks with plenty of styles, colours and sizes to choose from. Available in store or on-line - look for the Australian cotton logo. The Jeanswest 2018 Summer Snapshot tees have landed in time for Christmas, transformed into the iconic 100% Australian Cotton summer tee collection now available in all stores and on-line! Jeans West also has basic tees for men and women, woven shirts and other goodies. 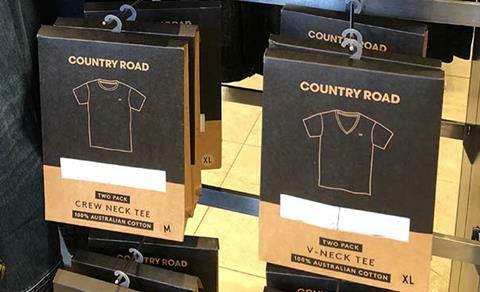 Country Road has launched its first range of Australian cotton tees, just in time for Christmas. They're outstanding quality basic t-shirts for men in black, white and navy. Available in store and on-line, this is the second Australian cotton product for Country Road with more to come in 2019. 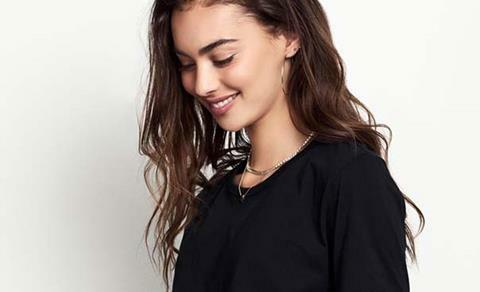 Kmart Australia has extended its ranges of Australian cotton products to include 500 thread count sheets in a variety of colours, bath and hand towels, printed and plain t-shirts. 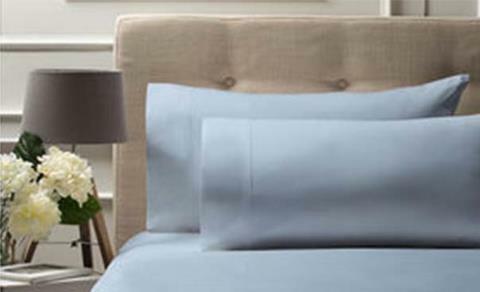 Kmart uses Australian cotton in its premium ranges, and will soon be sourcing 100% sustainable cotton including BCI. The original home of Australian cotton, Target continues to support us with a wide range of products. 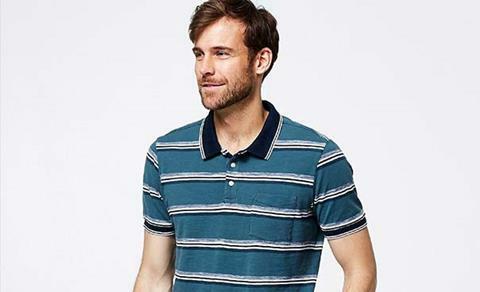 High thread count sheets; casual polos, tees and woven shirts for men; tees, singlets and underwear for women and even a doona are all available online and in-store. 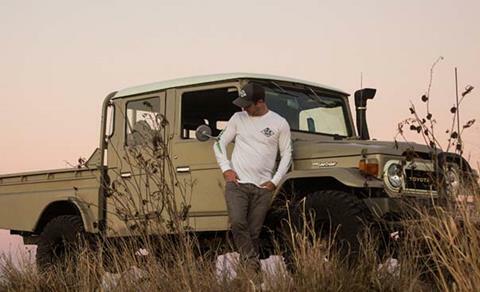 Hailing from a Cecil Plains cotton farming family, Jason Porter has developed his very own range of Australian cotton products, available in rural communities. Long and short sleeve tees are the start, with workwear set to launch next year. Available via Jason's Facebook page. CB Clothing Co. wholesales a large range of t-shirts, tanks and other promotional products perfect for printing. Most cotton used by CB Clothing is Australian cotton, and products are also available on-line to retail customers. If you have an event coming up, this is the perfect place to look. High quality yarn and material created with an entirely traceable supply chain using Australian Super Cotton’s fibre. 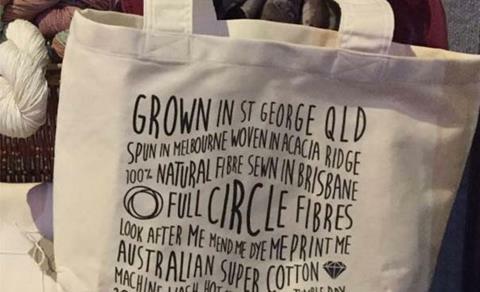 Perfect for makers, designers and local companies to create and design with Australian Cotton. Some finished products like bags and tea towels available on-line. Aldi. AS Colour. Bonds. CB Clothing. CottonON. Country Road Group. CUE Clothing. David Jones. DEUS Ex Machina. Ellery. Four in the Bed. Full Circle Fibres. Hudson Bay Company. Jeanswest. Just Jeans. Kmart. Liberty Prints. Mitch Dowd. MJ Bale. NEUW Denim. Porter and Wood. Reject Shop. Ritemate Workwear. Sportscraft. Sussan. Target. The Iconic. Be proud of the beautiful products your cotton makes. 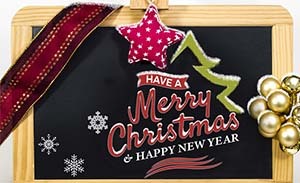 Wishing you and your families all the best for the silly season and 2019. May the season deliver rain when you need it, big yields and beautiful crops.